Owing money to the IRS is stressful. 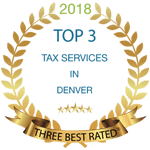 No matter your circumstances, True Resolve Tax Professionals in Denver will provide you with everything you need to know about IRS payment plans and secure your financial future. Our licensed, IRS Enrolled Agents will work on your behalf to find a lasting resolution. Perhaps, you made a mistake on last year’s taxes or got behind over several years. While you may have the urge to put off dealing with your tax debt, the IRS isn’t going to just forget about you. In fact, the IRS has the power to wreak havoc on your finances in any number of ways. You’ll first receive a flurry of reminder notices, finally followed by a certified letter warning you of forcible collections, such as a personal lien or levy. 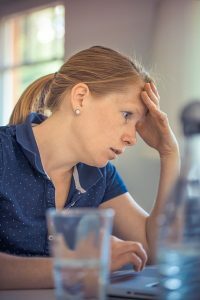 You may even be subject to an IRS wage garnishment which could leave you with just $862.50 to live off of each month as a single taxpayer with one exemption. The bottom line is that your personal tax debt will never go away. Instead, it can balloon into a massive financial disaster that could affect your credit score, your ability to buy a home or car, and much more. So, let’s get to everything you need to know about IRS payment plans and how True Resolve can help. In 2011, the IRS started their Fresh Start initiative which offers streamlined installment agreements for tax debts up to $50,000. If you fit into this category, no financial documentation is required, and you will have up to 6 years to pay your debt. If you owe $25,000 or less – Here, you’ll pay the full amount owed plus all penalties and interest in 72 monthly payments. You can pay via check, online payments, direct debit or payroll deduction. If you owe more than $25,000 but less than $50,000 – For this option, you’ll stick to the same timeline as above, however, you will only be allowed to make payments by direct debit or payroll deduction. No matter what you owe, you could qualify for a full pay agreement which gives you 10 years to pay off your tax debt (the maximum allowed by law). To be considered for this option, you may be required to submit financial documentation showing your income and expenses. If you feel that you need this extra time, your True Resolve tax expert will review the details with you and walk you through next steps. Under more dire circumstances, there are a couple of other options that we can help you navigate and negotiate. With a partial pay agreement, there’s quite a bit of paperwork required, and the IRS will want to take a closer look at your finances to establish an appropriate payment amount. Your situation will also be reviewed every two years to determine if you’re able to pay more. If you cannot afford a standard payment but anticipate a financial change, such as paying off another bill or getting a promotion at work, True Resolve can help you establish a tiered or staggered payment plan with the IRS. This allows you to pay less now, then more after a specified period of time. When you look at everything you need to know about IRS payment plans, there are far better options than attempting to run away from your debt. To learn more about how True Resolve Tax Professionals in Denver can help you take control, schedule your 30-minute consultation today. One of our licensed, IRS Enrolled Agents will determine the best payment option for your budget and circumstances, then get to work on your behalf. We look forward to helping you!